Please note that the content of this book primarily consists of articles available from Wikipedia or other free sources online. Migraine is a very common type of headache, more common in women than in men, which may occur to most people over many years &#x2013; as repeated attacks of pulsating and throbbing headaches with severe or mild episodes. Largely treated by analgesics and antiemetics, migraines could also be treated through Botox therapy. 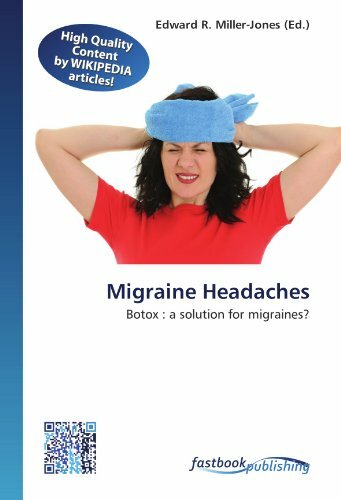 According to recent studies the Botulinum toxin which is mainly used within cosmetic applications, might be a potential medication for chronic migraine. Learn more about migraine, its causes, prevention and mechanism of action in this book.